AIPVT is an All India Pre Veterinary Exam that was conducted by Veterinary Council of India (VCI) until 2016 and in 2017 the AIPVT Exam was cancelled and replaced by NEET. So after the exam was replaced with NEET all those students who were looking for a seat in Veterinary college in B.V.Sc Course in All India Merit had to appear in NEET. 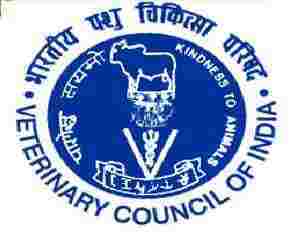 The responsibility of counselling and seat allotment in Veterinary college is still done by Veterinary Council of India. VCI Counselling is for admission to BVSc and AH Courses in various veterinary colleges in India except for Jammu and Kashmir. Under AIPVT VCI Counselling, admission to various BVSc and AH courses is done on the basis of NEET score of the candidate. The 15% of the total number of seats in Veterinary Colleges in India (except J&K) for Indian Nationals is filled through AIPVT VCI Counselling. Earlier, All India Pre-Veterinary Test (AIPVT) was conducted for admission to BVSc and AH Courses in various veterinary colleges but it has been discontinued from 2017. Now NEET UG merit list has been considered for the admission. Latest Update: AIPVT Result Round 2 has been announced. Duration of the Course: The duration of B.V.Sc & A.H degree course is 5 and a half years. The course also includes a compulsory rotating internship of six months. While filling up, the AIPVT application form candidates need to keep their mobile phone with them as an OTP would be sent to that mobile number. Also, be ready with your parent's annual income as it would be asked while filling up the AIPVT application form. The AIPVT VCI Counselling result for the Round 2 was announced on 10 September, Earlier the VCI round 1 result was announced on 29 August for Round 1 of counselling. The VCI counselling result is available online and consists of the name of the candidates who have been selected along with the allotted veterinary college. After the announcement of AIPVT VCI Counselling Result, the candidates are required to report at the allotted veterinary college at a given date and time. The candidates whose name was not present in the AIPVT VCI Counselling result for Round 1 have to wait for the result of Round 2 which shall begin from 7 September 2018. The counselling for VCI started from 14 August 2018. The AIPVT VCI counselling is done through online mode only. 15% of the total seats in the veterinary colleges in India for admission to BVSc and AH course are allotted through AIPVT VCI Counselling. Only those veterinary colleges in India shall participate in AIPVT VCI counselling that are outside the state of Jammu and Kashmir. The fees charged by private veterinary colleges shall be decided by the college or university and council will have no role in it. The seat allotment for AIPVT VCI shall be done after the counselling results are announced. Candidates are advised to refer the schedule given below to avoid missing any event related to AIPVT VCI Counselling. The students will know about the Veterinary college allotted to them after the result is declared by the council. The AIPVT Seat allotment letter will contain all the details for the students but the seat will only be covered if the students take admission in the Veterinary College. There are a total of 41 colleges spread all over India that will be participating in AIPVT VCI Counselling as per the list of AIPVT 2018 Participating Veterinary Colleges in India. The total number of seats as per 15% quota is 449 all over India. The list of participating colleges includes colleges from various universities from various parts of India. A minimum of 8 seats and a maximum of 12 seats are available in each veterinary college under 15% all India quota. The candidates can apply for AIPVT VCI Counselling 2018 online only. There is NO offline Process of filling the AIPVT 2018 Application Form. The fee for registration for AIPVT VCI Counselling is Rs 1,000 for General, OBC, OCI and PIO candidates and Rs 500 for SC, ST and PH candidates. The payment for AIPVT VCI counselling registration shall be done through NEFT.